Byron Otto Thomas (Mannie Fresh) has kept his personal life away from the media spotlight. There are no records available about his past relationships. At present, he is believed to be single. 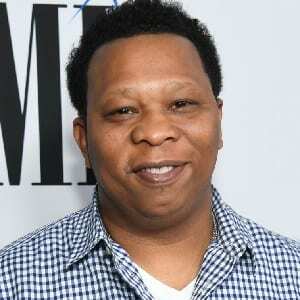 1 Who is Mannie Fresh? Fresh was born as Byron Otto Thomas in New Orleans, Louisiana on March 20, 1969. His mother was a teacher and his father was a producer. Since his father was involved in the world of music, Thomas became interested in music and rapping since an early age. He is of American nationality. Furthermore, he belongs to the African-American ethnic background. Talking about his education, Fresh attended Joseph S Clark Preparatory High School. Fresh initially began a partnership with New Orleans rapper MC Gregory D. The duo released their first album together ‘Throwdown’ in 1987. In addition, they also released two more records together in the late 1980s and early 1990s. Thomas also formed the ‘Big Tymers’ along with Williams, as Mannie Fresh and Birdman. Fresh has garnered one Grammy Award nomination. Fresh has not revealed his current salary. However, he has an estimated net worth of around $ 15 million at present. Fresh has been involved in several feuds in his career. In 2012, he had a dispute with Cash Money. Additionally, several of his comments over the years have also been criticized. At present, there are no rumors concerning his life and career. Talking about his body measurement, there are no details available about Thomas’ height and weight. His hair color and eye color is dark brown. Fresh is active over social media. He has a huge number of followers on social networking sites such as Facebook, Instagram, and Twitter. He has more than 49k followers on Twitter. In addition, he has over 450k followers on Instagram. Similarly, his Facebook page has more than 630k followers. Also know more about the early life, career, net worth, relationships, and controversies of other singers like Iggy Pop, Don Most, Jordan Smith, Jill Janus, and Tom Parker.